I think it’s become more than apparent that I’ve pretty much introduced almost every single food group back into my diet again and suffice to say, my palette enjoys it greatly. Take one look at my growing chipmunk cheeks (which apparently is a somewhat compliment in my boyfriend’s eyes – I respectfully disagree) and it wouldn’t take more than 4 guesses after Alvin, Simon and Theodore as to who ate the last of the mince pies. And if I’m eating mince pies, you can probably make a good guess that I will just about eat anything now, dough balls with garlic butter and all. However, there is still one particular food group that I’ve still not re-introduced. 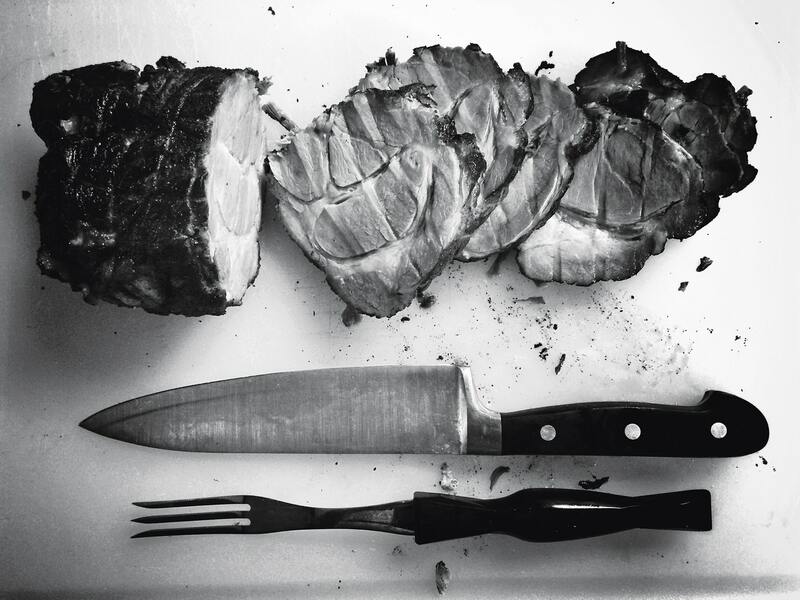 Whether from fear, pride or just utter stubbornness, meat has still yet to make its way back onto my plate. This time of year made particularly more difficult to say no to when you have golden, roasted Christmas turkeys clucking their way across every TV advert from 1st December. In all honesty, I can’t exactly say that I stopped eating meat for any other reason than to cut calories from my diet, even though I might have initially preached some ethical reasons, in a bid to fool everyone that I didn’t have an eating disorder. But not eating something for such a long period of time, makes it all the harder to give in again and see all that will power go to waste. Stubbornness wins the meat fight. In more recent months, I’ve certainly seen a huge hike in my meat cravings, particularly as I went and returned from Berlin without a Bratwurst and hence the cravings still stand. I was kidding myself thinking that Quorn’s version of a sausage would hit the spot – perhaps maybe just for a mere few minutes after the meal but any longer than that and the grilled Cumberland comes straight back and fills the sausage-sized void in my craving space. I don’t imagine I’ll ever become a huge meat fiend and you probably aren’t ever likely to find me hunting down the local butchery for the leanest piece of chicken to fuel my protein-powered diet, however I’d at least (maybe) like to excite the palette again. But which dish to go out on?